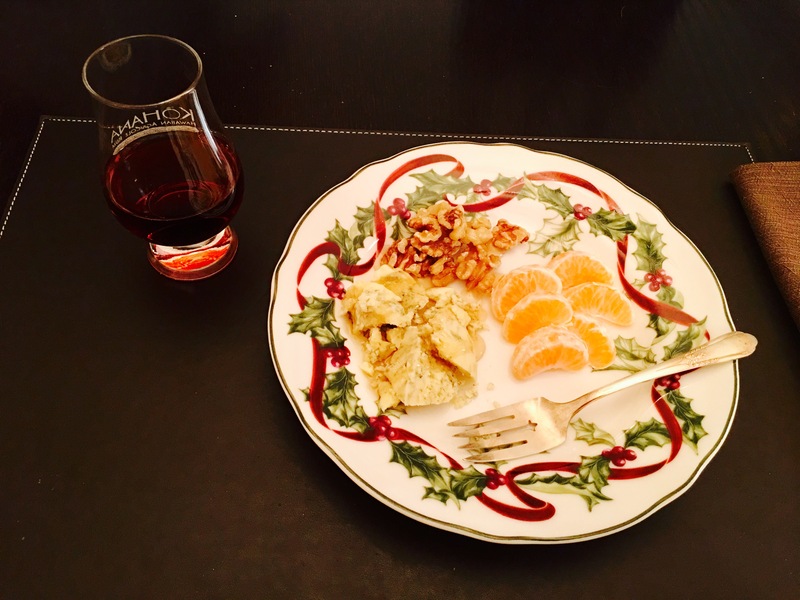 Real English Stilton, local honey, local walnuts, a clementine from my tree, and 20 year old Port. It’s good to be the BoozeGuru. And yes, I could have had KōHana’s Kokoleka instead of the Port, but I didn’t feel like incurring the Wrath of the Wifie for dipping into her favorite liqueur.